Wow, Puppy Pens, what can I say! A real game changer! I have toilet trained my fair share of puppies and used a variety of methods, mostly involving getting up every 2-3 hours in the night to let the puppy outside, getting back in to bed only to be woken a few minutes later because the puppy is screaming because it hadn’t done all it’s business outside and has now messed in it’s crate. So now I have all the bedding/blankets to wash, the cage bars to scrub clean because more than likely the little darling has walked through it all and jumped up at the bars and spread it everywhere. I eventually get back to bed and realise actually it’s time to get up and attempt to do a full day’s work on what probably amounted to no more than 3 hours sleep. Let me tell you about what I have tried for my newest addition; a Puppy Pen. It involves getting a full night’s sleep and no need for a washing machine, just a few puppy pads and or newspaper, a carrier bag and a few flash wipes and or mop. 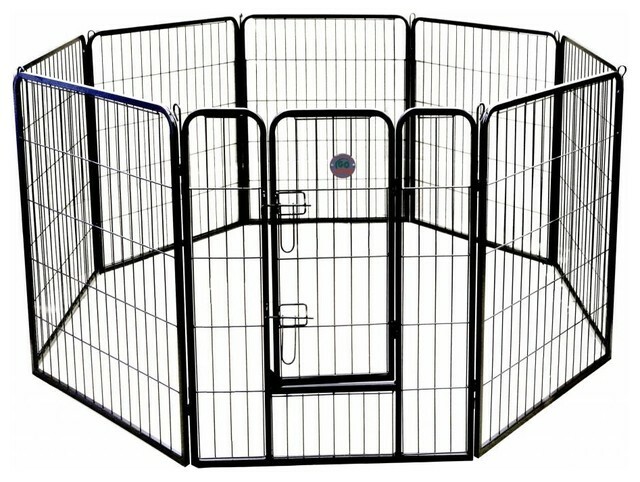 Puppy Pens come in various different sizes, shapes and qualities. I went for the traditional square shape as I’m a bit limited for space and in the end after much deliberation realised I needed to incorporate my fridge freezer into the space, but you can get circles, hexagons or rectangles. I got the heavy duty one, which I would strongly suggest to anyone, I think for the difference in price the cheaper ones are too flimsy and I would think even a small breed puppy could knock it over. The idea is you set the pen up and put the crate in at one end, make the crate all snugly, lots of vet bed, blankets, heat pad, leave the crate door open, then in the space left inside the pen put puppy pads or newspaper down, this creates a toileting area, away from where the puppy sleeps. So you pop the puppy in their crate, say night night and then go to bed yourself. During the night if the puppy needs to empty itself they can then come out of their crate and use the area you have created, then rather being distressed because they’ve soiled they can then take themselves back off into their crate and snuggle down for the rest of the night. When you come down in the morning you can let the puppy outside and clean up the puppy pads, put them in a bag, have a quick mop round and you’re sorted. 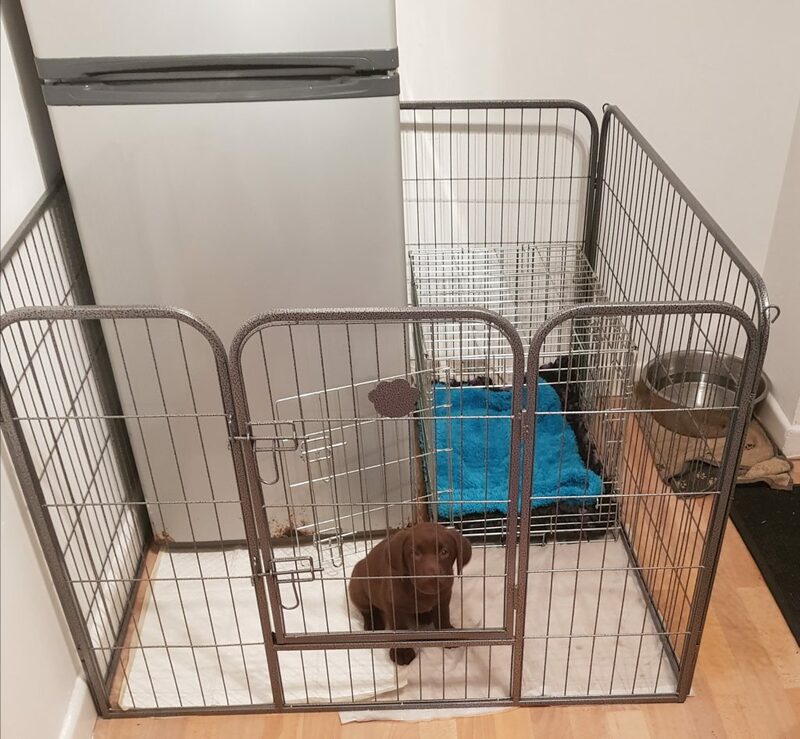 As the puppy gets older you’ll find that they aren’t needing to go as often and the area that you’ve created is staying clean throughout the night, at that point you know you can remove the puppy pen and the puppy will stay in it’s crate overnight and be able to hold until morning.